Content marketing is a great way to talk to an audience and build support for a product. Beyond the ability to gain feedback from readers it is also a way to gain insights into the market you are selling into. This holds true for hardware and software, so long as the content is appropriately targeted. My first blogging experience began in 2009. Stories of small sites making money were out there but mostly the idea was to have an outlet for my hobbies. Instead of updating randomly on what I ate for dinner I decided to take a more professionally slanted approach and focus on engineering. Managing a CAD dedicated site site, including dabbling in coding, had the potential to help me in my day to day. I worked for a contract manufacturing company as a project manager, organizing trade show marketing and managing our website while also leading CAD design projects for clients. Content marketing was not quite on my radar but there was enough overlap. Initially I setup the site with blogger, at 3Dengr.blogspot.com, but I picked up the main domain and then used blogger as my management system with a re-direct. This had it’s drawbacks but worked for making things relatively easy. I decided to document as I studied for the Certified Solidworks Professional (CSWP) exam. The CSWP is a test designed to show a user’s proficiency in the software package. There was nothing strategic about gaining the certification or documenting it, I had a free voucher to take the exam so it was mostly just something to do as structured learning. The year prior for work I had attended their annual user conference, which draws a few thousand people. There I picked up an associate certification (CSWA) and there were a few tips and tricks I learned in doing so. I figured going for the Pro version may help me get a client or job someday. Others differ on the value of the CSWP qualification, but for me it directly led to tens of thousands of additional income. It turns out that studying for the CSWP is something of a niche market. Solidworks has more than 3 million installed licenses and tens of thousands of users take the test every year. I gained some value from taking the test, mostly from studying, but the main value to me was in positioning myself to speak to that rather large niche. At the same time Solidworks was focusing on their own content marketing, supporting community bloggers, and generally being a well regarded engineering based tool. This all aligned nicely for me and would turn out to be fortuitous. Down the line I met the Solidworks team, and their own blogs sent me plenty of highly targeted traffic. I wrote and documented a few dozen tutorials in the lead up to taking the exam and those articles drove my site traffic for the next 4-5 years. I did update and broaden to other topics but the search traffic for CSWP tutorials alone generated nearly 1,000,000 page views. Most of the time there were also ads running on them some adwords but primarily from a small ad network that specialized in the area and could deliver $20+ CPMs. The income was not enough to retire on, but it allowed me to pocket a few dollars along the way. With 2-3 ad units running on a page at a time getting 1000 impressions happened multiple times a day. The site ranking in search, page rank, and length of history allowed me to sell the Blog in early 2015 and helped offset expenses of getting a masters. An investor saw the recurring revenue from ads and an opportunity to plug in a lot more affiliate programs (while also shifting to a related market, 3D printing). I did not have time to continuously create content and was happy to take the lump sum. I even ran the NPV calculations on the expected monthly revenues (as was at the time taking an advanced finance course) and happily got the price I wanted. In addition the blog opened up numerous writing opportunities including commissioned trips to cover conferences, and even some consulting work. With graduation out of the way I launched this new site, 3DNPD.com, again as an outlet, but also with a bit more focus. The blogging scene has gotten more competitive since 2009 and the low hanging software tutorial route is saturated. Corporate content marketing engines have picked up a lot, LinkedIn let’s anyone publish easily. In general the ad rates have dropped too, $25 and $30 CPMs are gone thanks to programmatic ad buys. Still there are a number of benefits to having a hosted platform to produce my own content (or build to allow others). One of these is access to lots of data. Because I sold the main site I no longer have access to all of my analytics but the traffic that was linked to the blogger subdomain still appears in my analytics accounts. This accounts for about 450,000 page views. This is a look at some of the high level analytics. I ran a few campaigns and did some page optimization, but that is not what this is. Instead this is a look at the niche segment that the old site served. Who were the people reading the site? For the most part they were professional males between 25-34. That makes sense given the focus on the mechanical CAD industry demographics, though I was a bit shocked by how small the female audience was. What were they using to read the site? 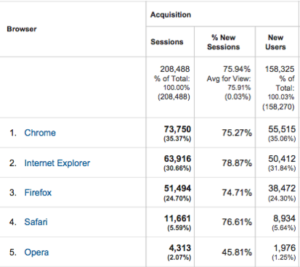 While the top 5 browsers made up 99% of the visitors. Users of the least popular broswer to have any significant traffic, Opera, might be onto something though. Page selection bias could be the cause but overall the load times for them were about 50% of what the most popular Chrome users saw. For the most part the site was being read in English. Again not a surprise given that is how it was written, though I was humbled to see that it was on occasion being translated more broadly. 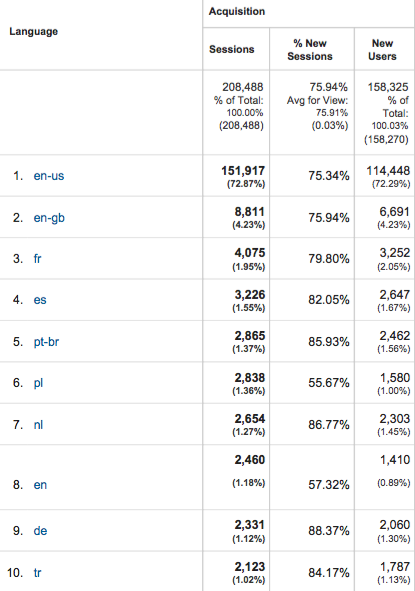 Most of the site traffic was geared toward the tutorials. After the first 18 months I properly consolidated them into a CSWP Prep landing page. This still ranks highly on Google searches and from the bounce rate and time on page it is clear that most readers used it as intended. It was a gateway to the rest of the content. The main site page is the other one shown. Both of these had fluctuating metrics that were tweaked over time. I tried a few different optimization method and some affiliate programs that diverted some of the traffic, but ultimately turned out to be great revenue streams. Instead of making any of my tutorials paid I was able to push to other tutorial sites where each conversion netted me about $50. For a “set it and forget it” business model a $50 payday can easily add up. There were a few outlier months that were particularly fruitful. 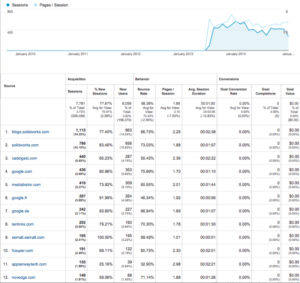 The traffic sources were not something I tried to build, other than pushing for more SEO potential. Most of the “not set” category was search as well and in the end organic searches accounted for more than 80% of the traffic. Here I will again point out this is for the .blogger domain traffic. I had to keep some of that set as the early work on the site created link backs to that site. Instead of dropping all those links I perpetually forwarded the traffic and then worked out other social and SEO tactics to the new .com’s that seem more professional. This is one area that has changed a lot. Though it is still possible to get organic search traffic at this level social channels have picked up since 2010. 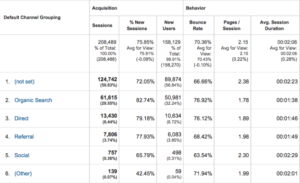 Even a rudimentary social play could get that much traffic in a month, and remember these charts shows 5 years of data. The paid programs I did all went to the main site so do not show up in this analytics account, sadly. As for the referrals a change in the analytics meant that the data only captures about 18 months (not the 5 years of the above charts). 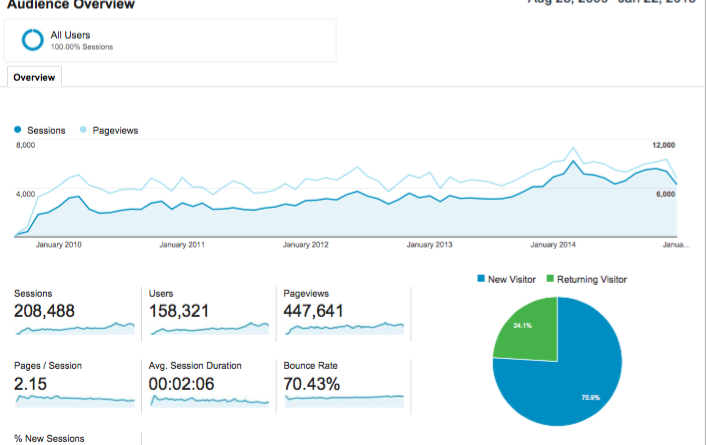 Still it’s worth noting that some of the other popular CAD bloggers regularly delivered traffic. Mostly this was through sidebar links. This “blogger network” style of promotion has dropped off some but having a strong community is still a great way to build. Now there are even better opportunities to partner with larger brands and places that have a following to help drive traffic. At the time, and still, it was a great free way to help promotion. I never paid for any external links, and the most I ever did to get a link back was send an email to a friend or colleague who I knew in the real world with a simple requests. This site, 3DNPD.com, is structured in the same way. I aim to continue to create resource content, things that can be searched for over time and does not require the constant updates of News, Fashion, or others. In the end the lessons learned in the product development process translate across platforms. The raspberry Pi may come out with a new board that makes a project here irrelevant. Tons of the 3D printing companies covered will close up shop. Still, it is useful to be able to return to these stories, learn form them, and find out what approach may work as new technologies emerge. Go Ahead and Write a Comment! The best part of content creation is the ability to gain feedback. If you see anything on this article or others that has you asking about specific metrics or wanting to share thoughts, pleaes reach out in the comments.